'Freeview Connect' to deliver catch-up TV through smart TVs? | What Hi-Fi? 'Freeview Connect' to deliver catch-up TV through smart TVs? BBC iPlayer, ITV Player and 4oD catch-up TV services could be made available as standard on internet-enabled sets under a new initiative reportedly being led by the public service broadcasters. According to the Guardian, Freeview Connect is being fronted by industry body Digital UK, which gets its funding from BBC, ITV, Channel 4 and Arqiva and aims to make public service TV available to all. It had been previously thought YouView would provide catch-up and internet TV for public service TV broadcasting, but these plans now suggest a renewed vote of confidence in the Freeview brand. 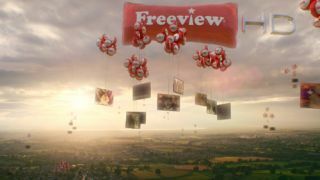 Although we are yet to receive any official confirmation regarding the Freeview Connect proposals at this stage, Freeview and Digital UK are working together on how to give "extra flexibility" in the future. A Freeview spokesperson told whathifi.com: "Freeview and Digital UK are exploring what a connected TV proposition, including catch-up, might look like alongside the existing linear services to give viewers extra flexibility in how they watch television. "Discussions are on-going with our shareholders as to exactly what this proposition will comprise, and how it can be most effectively delivered." The reports come after the Guardian also claimed that the BBC and other broadcasters were poised to cut investment in YouView – a move that would leave BT and TalkTalk as the brand's major shareholders. It is believed the free-to-air broadcasters will continue to be shareholders in the YouView platform, but will be scaling back funding for the platform after internet service providers expanded pay-TV options. A BBC Trust report published earlier this month raised concerns that the corporation's continued support for YouView was based on the idea the platform would be available at "no ongoing subscription cost". However, the report said: "In practice, nearly all YouView 'sales' have been of subsidised equipment offered by sponsoring ISPs in exchange for a subscription payment of some kind. "This may have implications for the BBC’s strategy of promoting 'free' access to its services, and is likely to form an element of a platform review by the BBC which is currently under way." If the BBC does review its investment in YouView, however, Freeview and Freesat spending may also face scrutiny if the recommendations of the BBC Trust report are implemented. The report added: "The BBC should carefully review its investments in TV platforms, namely Freeview, Freesat and YouView, in light of BBC-wide platform and distribution strategy and in particular its duty to promote the availability of services free (or at no incremental cost) at the point of delivery."